Because duct tape isn't JUST sticky and awesome! Click the link below for the full blog post! 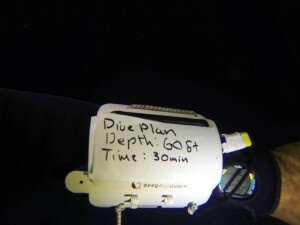 By writing your EAN mix on your tank when you pick it up at the dive shop you can be sure to enter the right value into your computer or use it with your tables in dive planning. Once you've identified the EAN mix it's a good idea to write down the Maximum Operating Depth (MOD) of the gas for planning purposes. Be sure to check out what ppO2 you're using for gas planning! Customers and fellow divers appreciate it when you call them by name. It's not always easy but a little duct tape goes a long way to improving the customer experience! Write down your planned depth and time. 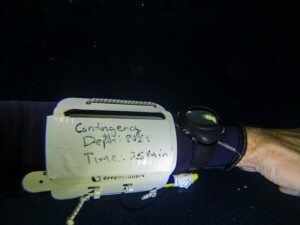 Just in case you break the max depth of your primary dive plan… what's your contingency plan? On a crowded dive boat it can be easy to lose track of your gear. Put your name on it! People might look at you sideways at first but you'll get the last laugh when they're asking to borrow your tape. Duct tape is handy to have in the garage, the laundry room, in your office desk or even your sock drawer but did you know that white duct tape can be a valuable addition to your SCUBA diving kit? Here are six (6) uses for duct tape as a SCUBA accessory minus the fun quiet.ly info graphic but read to the bottom for a huge photo-info-graphic collage! Mark the EAN mix value on your tank if diving a mix other than air. Mark the MOD of your gas mix – always remember to verify the correct ppO2 value for your dive plan! NOTE: This might be a good time to brush up on your Nitrox knowledge. If your an instructor you can discretely write down your students names. Write down your basic dive plan! How deep for how long? Ooops… did you bust the floor? Better add that contingency plan on there too! 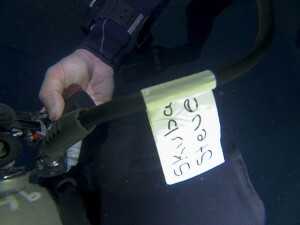 Make an instant name tag for your gear on that busy dive boat! Get good quality duct tape from a hardware store and a reputable brand (3M/Scotch and Nashua are the ones I use). They are easier to tear with your teeth and generally tear pretty straight across the roll. They also tend to be more durable and stick to what they’re meant to underwater. Use a serious permanent marker and write big. Always fold one edge of the duct tape back on itself (so the sticky sides touch) this creates an easy to pull tab when you’re ready to remove it. Need to remember some of the information later? 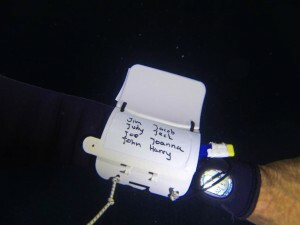 Pull the tape off your slate and put it on the back of the page in your dive log – quick! What other uses have you seen, heard of, used or conceived for duct tape as a SCUBA accessory? Leave a comment below and share your duct tape joy! If you enjoyed this post – share it with a dive buddy! Many thanks to the team over at High Plains SCUBA for the use of the pool!